A short biography of the early years of the 17th Karmapa, Ogyen Trinley Dorje, and the lineage of Karmapas that came before him. 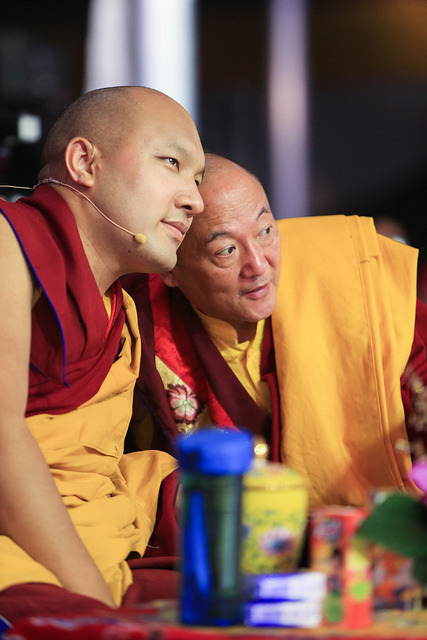 The present Karmapa, Ogyen Trinley Dorje, is the 17th in the line of Karmapa incarnations. 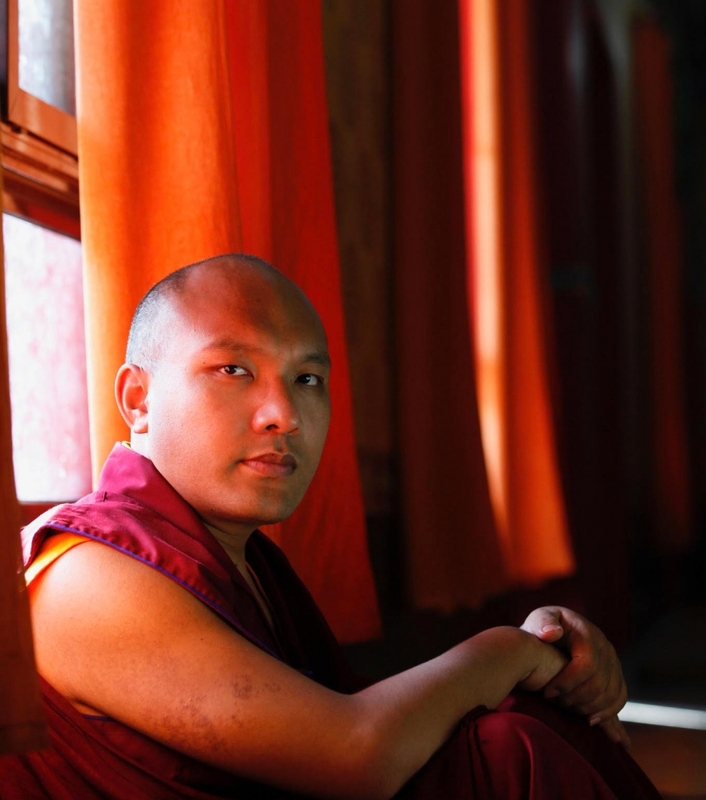 Here is a brief introduction to the present Gyalwang Karmapa’s life story from his birth in Tibet to his dramatic escape to India and present activities. A more extensive biography continues below including details on how the 17th Karmapa incarnation was identified in Tibet. The first photo of the young 17th Karmapa, known by his family as Apo Gaga or Happy Brother. In June 1985 a son was born into a nomad family in the Lhatok region of Eastern Tibet. In the months prior to his birth, his mother had wonderful dreams. On the day of his birth, a cuckoo landed on the tent in which he was born, and many people in the neighborhood heard a mysterious conch-like sound, resounding throughout the valley. In Tibet, such events are considered auspicious portents of the birth of an enlightened teacher. The young nomad boy was called Apo Gaga, “Happy Brother”. From the beginning, his family regarded him as special, and believed that he might be the reincarnation of a rinpoche. When he was four years old, they sent him to the local monastery to begin his education, though he continued to spend much of his time at home with the family. Then, in the late spring of 1992, the now seven-year-old announced to his parents that they should move their encampment to a different valley, and told them to expect a visit from traveling monks. They did as he said and, shortly after setting up home in the new location, a group of Karma Kagyu lamas arrived. Unbeknown to the family, the lamas were searching for the reincarnation of the 16th Karmapa, following instructions left in a secret prediction letter, written by the 16th Karmapa before he died. This letter contained details of the year of his rebirth, the location, and the names of his future mother and father, and the details matched Apo Gaga’s life exactly. He was duly recognized as the 17th Karmapa, and given the name Ogyen Drodul Trinley Dorje. His Holiness the 14th Dalai Lama issued a formal letter, supporting the recognition of Apo Gaga as the 17th Gyalwang Karmapa, and the Chinese Government supported the choice too. During his lifetime, the 16th Karmapa wrote many poems and songs, predicting that, though he would leave his traditional seat of Tsurphu in Tibet, he would return to Tsurphu again soon, that his root teacher would be HE Situ Rinpoche, and that he would study in India. After the death of the 16th Karmapa, it became clear that these predictions concerned his reincarnation. 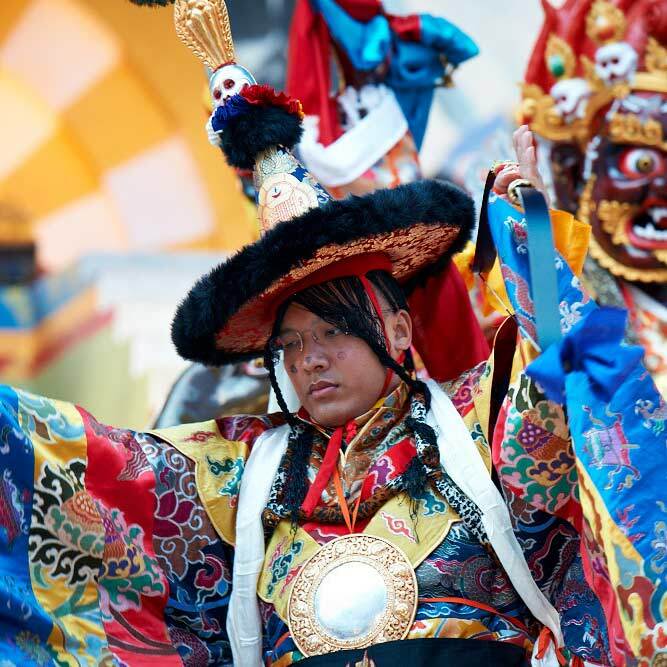 On His Holiness’s historic return to Tsurphu Monastery, in June 1992, he entered the monastery on horseback, wearing the traditional, silk brocade clothes and golden, riding hat of a high lama. Over 20,000 devotees assembled to witness his return. The following morning, some 25,000 people filed past His Holiness to receive a personal blessing, and then, two months later, before thousands of Tibetans and foreign devotees, he was enthroned, on September 27, 1992. After months of careful planning, on December 28, 1999, the fourteen-year-old Karmapa pretended to enter into a solitary retreat. Instead, he slipped out of his monk’s robes, donned civilian garb, and climbed out of a window, accompanied by his personal attendant, Drubngak. Leaving Tsurphu Monastery with a handful of attendants, he began a daring journey by car, foot, horseback, helicopter, train and taxi: an heroic journey which was to become the stuff of headlines throughout the world. His Holiness the Dalai Lama with the 17th Gyalwang Karmapa in India. 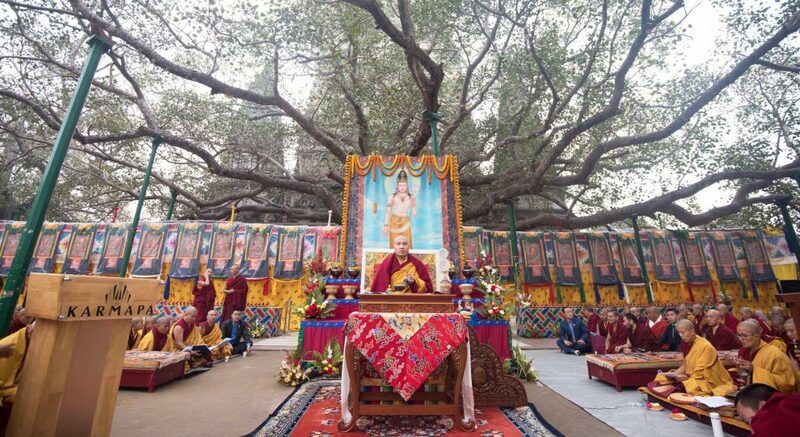 On January 5, 2000 he arrived, to the great surprise and overwhelming joy of exiled Tibetans and foreign devotees, in Dharamsala, India, where he was met by His Holiness the Fourteenth Dalai Lama. A year later, in 2001, he received refugee status from the government of India. During the 17 years he has lived in India as a guest of the Indian government, His Holiness has continued his traditional monastic training and philosophical education, but has also begun studying more modern subjects such as Science and English language. Each year, the 17th Gyalwang Karmapa receives tens of thousands of visitors from all over the world at his residence in Dharamsala. 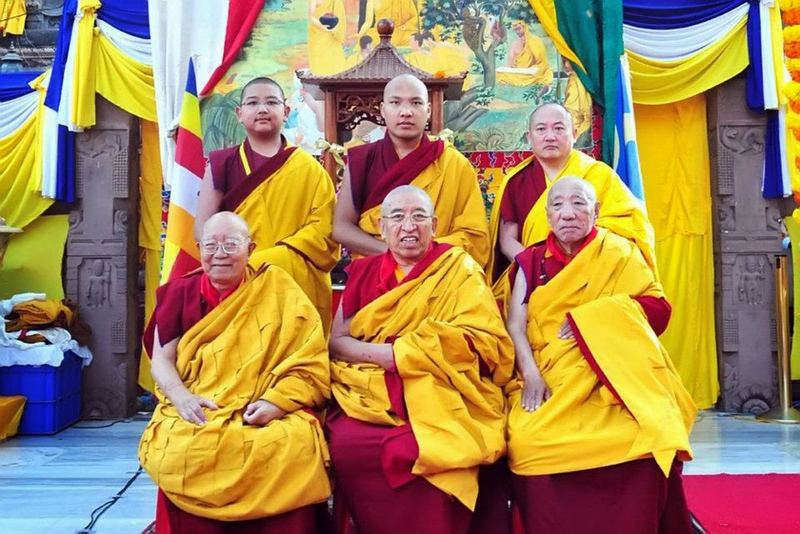 Since 2004, he has led the Kagyu Monlam Chenmo, an annual winter Dharma gathering in Bodhgaya, that draws thousands of people from around the world and from various Buddhist traditions. In May 2008, His Holiness made his first, long-awaited trip to the West, travelling to the United States where he visited his North American seat in New York, and some of the many Dharma centres under his spiritual guidance. 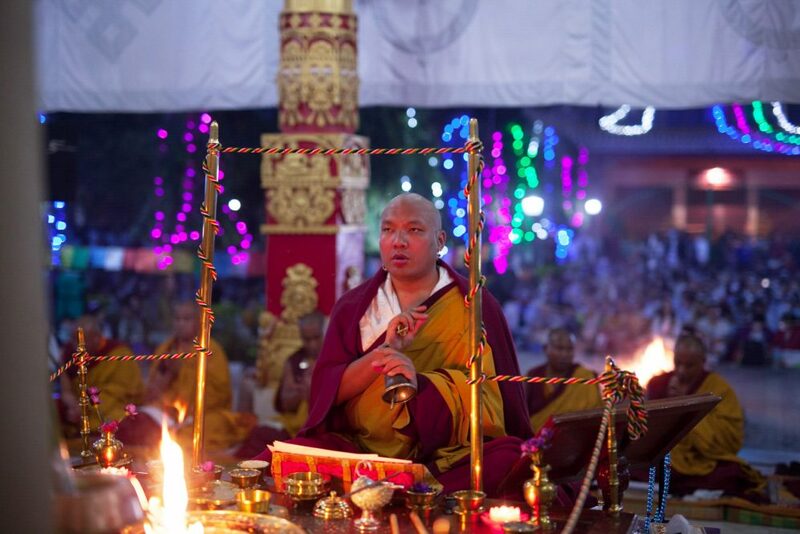 In addition, the Gyalwang Karmapa travelled across India to participate in the cultural and religious life of his adopted home. From inaugurating temples for Sai Baba in Tamil Nadu to commemorating the 100th anniversary of Mother Teresa’s birth in Calcutta, His Holiness has met with many other spiritual leaders in a spirit of mutual respect and tolerance. In November 2009, His Holiness was invited to speak at a TED India conference, becoming the youngest person ever to do so, at that time. 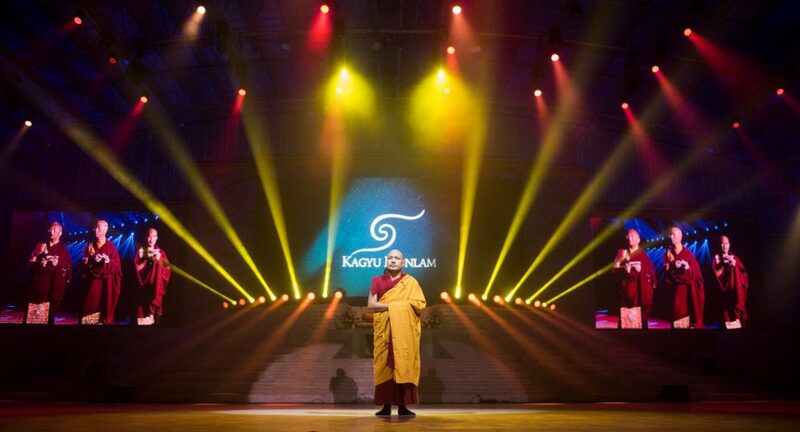 In January 2010, over 12,000 people attended the live performance of a six-act play on the life of Milarepa that His Holiness wrote and produced, combining elements of traditional Tibetan opera and modern theatre. 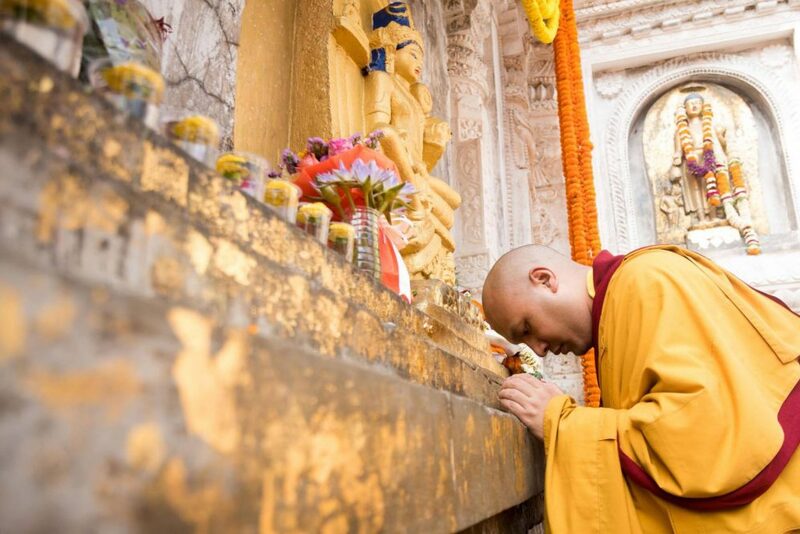 In recent years, the Karmapa has traveled to Northern American, Europe and the United Kingdom to teach the Dharma while regularly participating in the Kagyu Monlam, granting audiences, and many other activities. You can view the News section to follow the latest events. 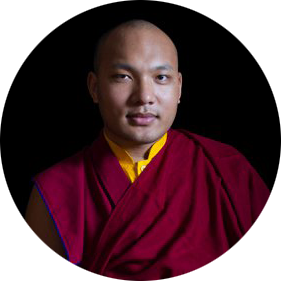 Please use the buttons below if you would like to read a more extensive account of the discovery of the 17th Karmapa, his present activities, teaching schedule, archives and much more about his life and work.